Howdy! I have been doing a lot of designs for a company in Sydney for their apps and this is one of the ones I sent through last year. 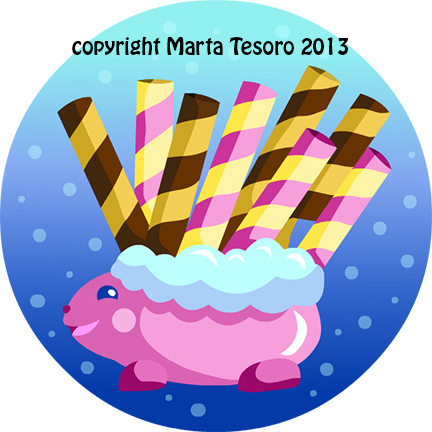 It was part of my dessert animal badge series. I've been drawing up a lot of badge designs for their apps over the last few months. At the moment, am working on dinosaurs! Will show some of those later. It is a lot of fun and I get complete creative control over it so it's been great! I am very pleased that they like it.